Although changing weather patterns are believed to be having a negative effect on the creature’s hibernation habits, chain link fences and garden netting is believed to be killing large numbers. Hedgehog numbers are estimated to have fallen to around one million. 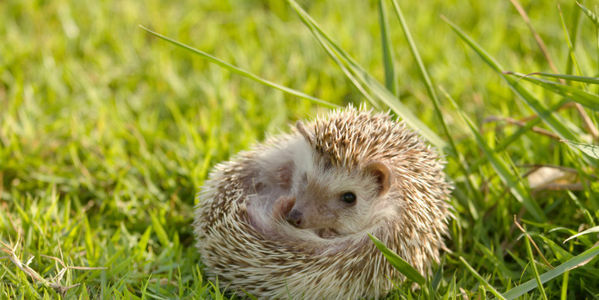 In the 1950s, it is estimated that about 30 million inhabited Britain, according to the British Hedgehog Preservation Society. Hedgehogs are an integral part of the UK's natural heritage - action needs to be taken now to stop them slipping into extinction. Will you join me in urging the UK Government to run an awareness campaign about hedgehogs, asking citizens to open connected neighbourhoods of gardens for hedgehogs to roam through by cutting holes in fences, digging tunnels under walls and limit chain link fences and football nets? Please sign and share the petition.